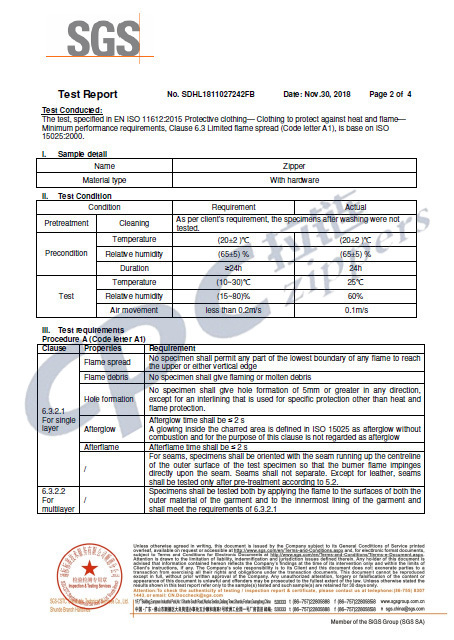 Based on safety, different demand and requirements of various products, we offer different options by using different materials, in accordance with customer’s specifications. 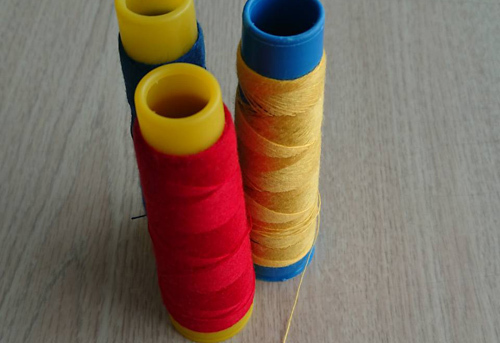 • Metal: Using metal teeth for production with fireproof fabric tape, currently used DuPont NOMEX fire yarn or China made Aramid fiber for tape production. 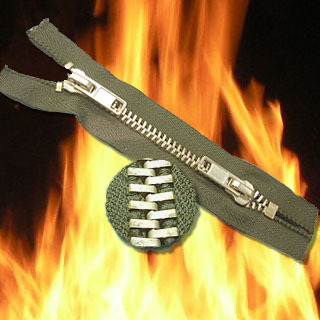 Firefighting clothing / military uniforms / overalls (oil companies) / racing suits and other special industries choose to use metal fireproof zipper. 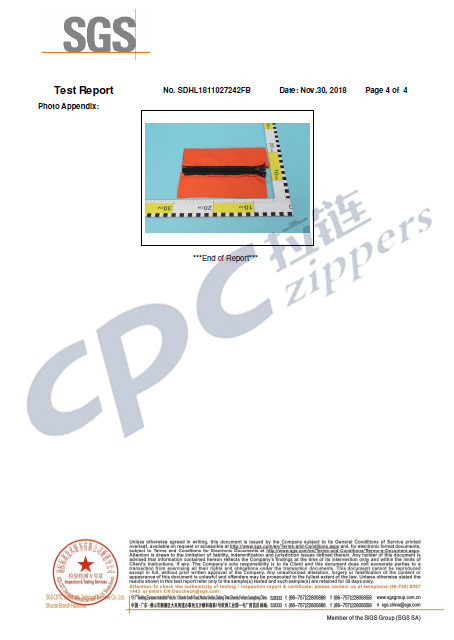 • Nylon: Using nylon zipper teeth with tape adding flame retardants chemical solution in the production, can withstand normal use temperature of 180 degrees without dissolving. 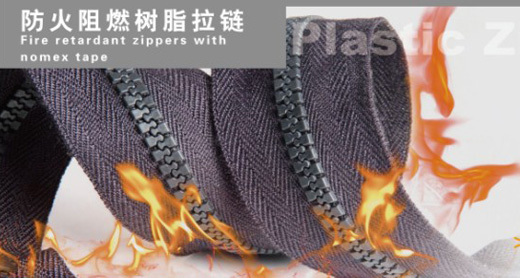 Car use or home use sofa, bags, curtains and other general products, can use flame retardant nylon zipper, price is relatively cheaper, but the zipper cannot be washed (washing will cause failure for fire retardant effect). 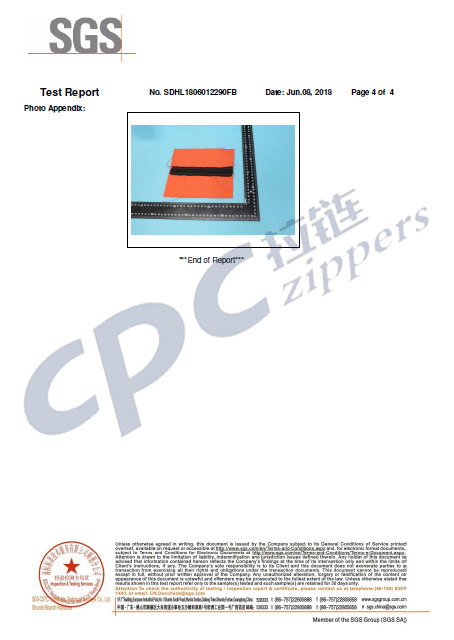 • Plastic: Using plastic zipper teeth with fireproof fabric tape is for applications that require no metal component products. 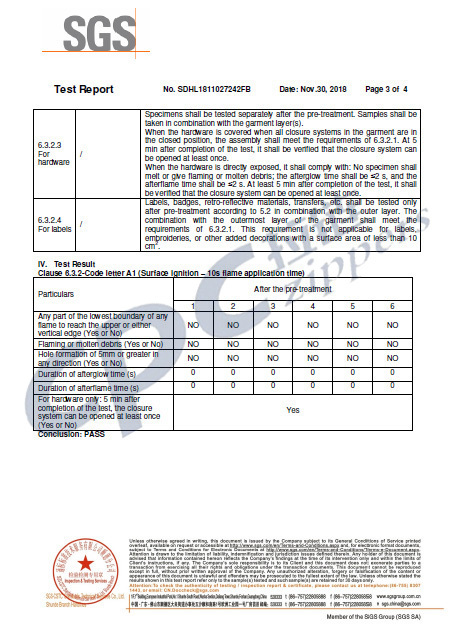 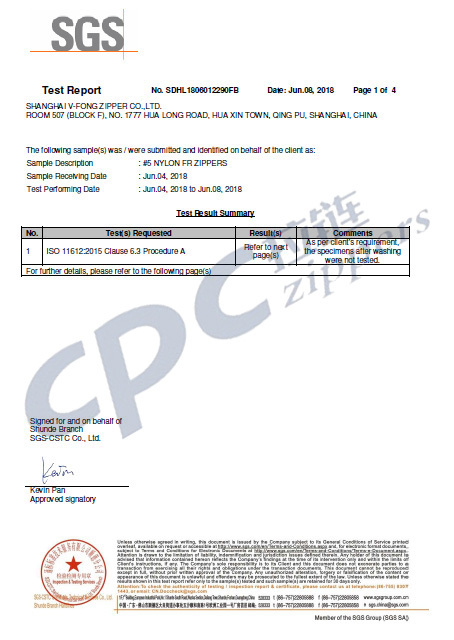 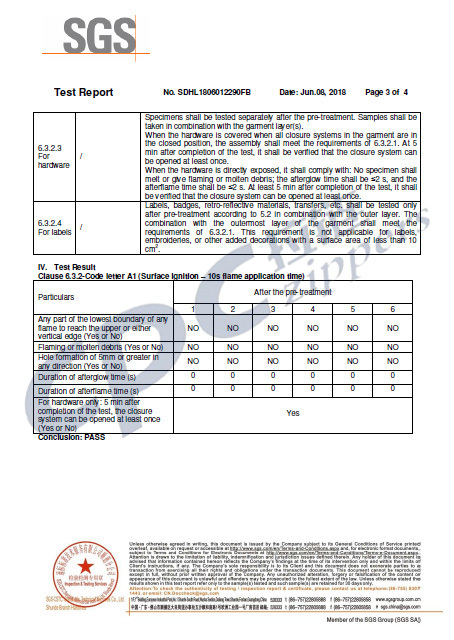 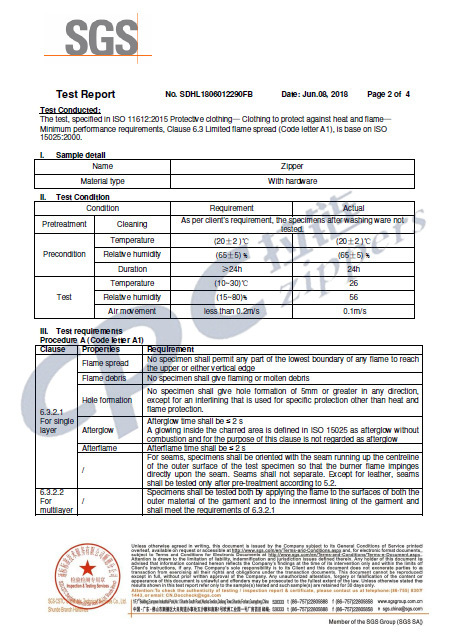 CPC & LIU CO., LTD. 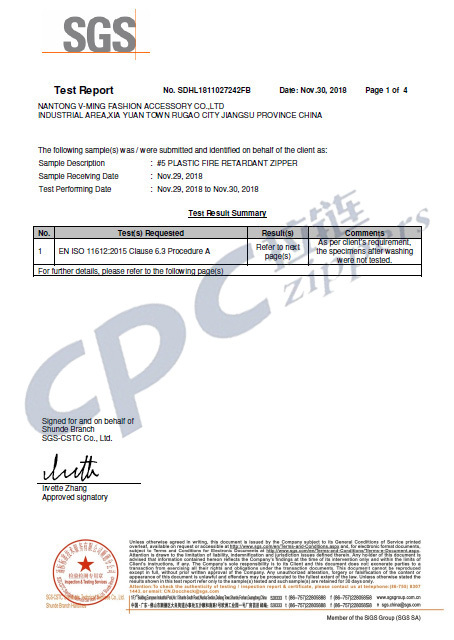 Copyright (C)2018 CPC & LIU CO., LTD. all rights reserved.